Everyone needs insulin to live. Insulin is a hormone that helps our bodies use and store the food we eat. People with Type 1 Diabetes no longer make insulin and have to give insulin in order to sustain life. People with Type 2 Diabetes don’t use their own insulin well, and over time can have trouble making enough. So, all people with Type 1 diabetes and some people with Type 2 diabetes need insulin. When people give insulin injections, they may take 1-2 injections of a long acting insulin every day and 3+ injections of rapid acting insulin for meals and snacks. The typical person with Type 1 Diabetes could take anywhere from 4-7+ injections a day. Many people currently give insulin through an insulin pen or a syringe. But, there is another option, an insulin pump. An insulin pump delivers rapid acting insulin in two ways. First, the pump is programmed to give you insulin every hour throughout the hour referred to basal insulin. Basal, think “base,” is the insulin your body needs even in the absence of food, it is also referred to as background insulin. This basal rate replaces the long acting injection that you take. Second, is bolus, this is the insulin you take for food or to correct a high blood sugar. If you get basal and bolus confused, think “bowl”, as in you eat out of a bowl, to help you remember bolus is for food. Once you are on a pump, all insulin is delivered through the pump and shots are no longer necessary. There are a few things necessary to make a pump work. and possibly batteries, depending on your pump. Let’s talk about each component. 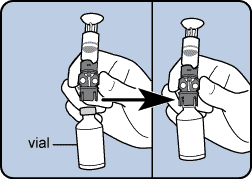 An infusion set is the part that is actually inserted into the body and has tubing that connects to the reservoir inside the pump. A small cannula (think, little plastic catheter) has a small needle that goes through the center of it. It’s pronounced “can- you- la“, in case you were wondering. 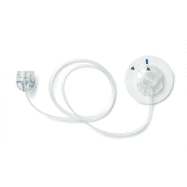 Some infusion sets require an insertion device to successfully get the cannula into the fat tissue. Once inserted, the needle is removed, all that is left under your skin is the cannula. Some cannulas go straight in and others go in at an angle. Most people will start off with a cannula that goes straight in. They are a little less intimidating and can be easier to get in, if you are just learning. An exception might be f you are lean or athletic, you may go ahead and start with the angled one because it will likely stay in place better and you may have less kinking. Cannulas also come in different lengths, typical lengths are 6mm, 9mm, 13mm, and 17mm. There is one cannula where the needle stays in, we see these used more commonly in children, if at all. See pictures above, starting from the right: the first infusion set is the one where the needle stays under the skin, this is the one that the cannula goes in at a 45 degree angle, this is the one that goes in at a 90 degree angle. A reservoir or cartridge holds 2 to 3 days worth of rapid acting insulin. Insulin is typically stored in a glass vial or a pen because it is most stable in that environment. Currently, there are no pre filled reservoirs or cartridges, because they are typically made of some sort of disposable plastic and insulin is only stable in those up to about 6 days. It is best not to pre fill your reservoirs/cartridges. Ideally, every 2 to 3 days when you do a site change, you will fill a new reservoir/cartridge. It is not advised to reuse supplies for risk of bacteria and the possible breakdown of the actual reservoir/cartridge itself depending on how long someone tries to reuse it. Below you can see some examples of reservoirs. Depending on which pump you have, you could be using AAA, AA, lithium, or rechargeable batteries. Older pumps use the AAA batteries, newer pumps use AA, lithium and rechargeable. A battery can last anywhere from 2-4 weeks. It really depends on how often you are looking at your pump, if it’s on vibrate setting, and if it has an integrated continuous glucose monitor. The more features, beeps/vibrates and how much you are looking at the screen will dictate how quickly you drain your battery. Depending on which pump you choose and which battery it utilizes, it’s always beneficial to look into how you can recycle the batteries if they can’t be recharged. Always use the recommended battery type in your pump, otherwise you risk possible damage to your pump. Not only do you need the components to actually help the pump deliver insulin, but there are components that make the pump easier and more appealing to wear.There are clips, belts, skins, adhesive wipes and even clothing with pump pouches. Click here to find the complete list. Maybe you recently had a discussion with your provider and the words “insulin pump” came up. Your doctor may feel that is will improve your blood sugar control and you may get benefit from other features as well. You might be feeling a little hesitant about a new therapy. Here are some advantages and disadvantages to insulin pumps. 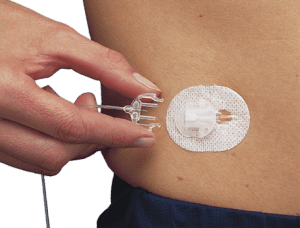 Bottomline, if the insulin pump is used properly and thorough training has been completed, it is a highly effective tool in lowering blood sugar. Much of the success of the insulin pump lies with the person who is using it and their desire to have it. 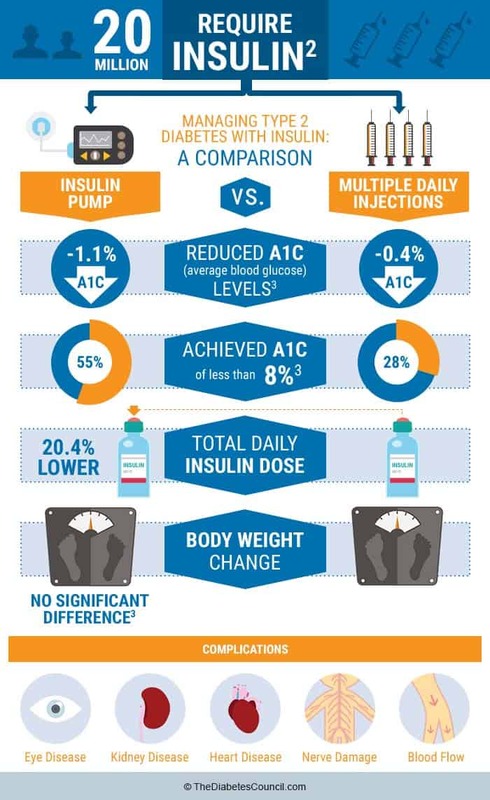 There is so much data showing the benefits of pump therapy in people with diabetes Type 1 and Type 2, that the majority of health insurance companies cover the insulin pump. The benefits include include fewer injections, the capability and power to give insulin effortlessly for any event, faster insulin adjustments for changes in different types of activity. The pump provides usability, simplicity, functionality and convenience, more consistent insulin action from day to day, easier problem solving, easier to track insulin use, less risk of low blood sugar unawareness, and fewer morning highs. Pick Your Pump: What Is Most Important? 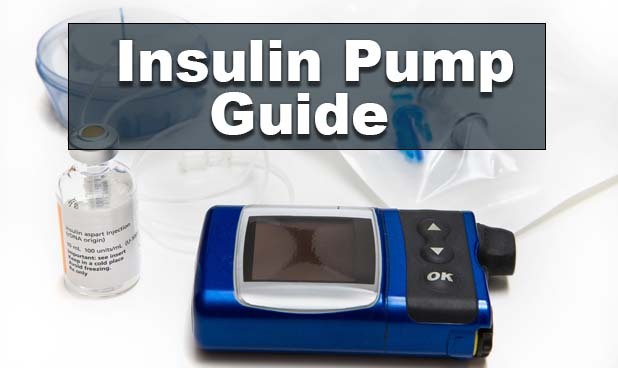 All pumps basically do the same thing, they take rapid acting insulin and deliver it two ways. But when choosing an insulin pump there are many things to consider. It’s important to prioritize which features are the most important to you and why. Once you have done this, it will automatically eliminate some options and make your choice much easier. Also, you don’t have to go at this alone. You should discuss with your doctor and diabetes educator which pump they think would be best for you and why, that can also help to narrow it down. The main companies to choose from are: Medtronic, Tandem, Insulet, Animas, Roche and Sooil. Style/Ease of Use:This pump is going to be with you 24/7, it’s nice to be able to customize the color or look of the pump. More than that, is it intuitive – can you pick it up and easily navigate through the pump, with a little guidance? How much insulin does it hold? First you need to add up your long acting insulin dose and your rapid acting insulin dosages and figure out your total daily dose. Got it? Ok, now, some people starting on the pump will need about 20% less insulin. But, to be on the safe side, let’s take your total daily dose and multiply it by 3 days. Ok, now you have the number of units to get you by until your next site change. Let’s add 25 units to that in case you pick a pump that has tubing, there will be some insulin that gets used to fill the tube. So, there are pumps on the market that hold 180 or less, up to 480 units. Make sure you pick a pump that can hold the amount of insulin that you need. If you are a female who plans on becoming pregnant in the upcoming 4 years after you have gotten your pump, you should choose a pump that holds a minimum of 300 units, to be on the safe side. Same with children who might be experiencing some hormonal changes in the upcoming years, this can drastically impact their insulin needs. What type of battery does it use? 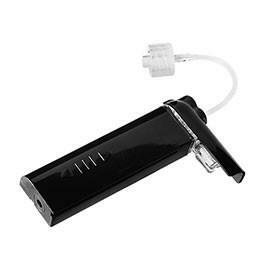 Are you able to charge your pump each day with your USB as you drive to work? Are you able to charge a battery with an outlet on a regular basis? Would you prefer the ability to change the battery or have a variety of options to keep your pump running? You may work in a remote site or enjoy hiking/camping for several days at a time, whatever you job or extracurricular activities might be, consider what battery option would fit your life best. What are the bolusing options? All will have a bolus wizard of some sort, which means you can program your carb to insulin ratio and your correction factor in and the pump will do the math for you. Some of the algorithms are different. Ask the pump representative to explain how the bolus is calculated if you recently gave a correction or if you recently had a snack and you want to give another bolus. Active insulin is a term to describe how long a bolus of insulin takes to completely metabolize out of your system. Many people confuse this with when it peaks. Most people have an active insulin time somewhere between 3-6 hours. Meaning, once the pump gives a bolus, that insulin for the bolus is completely out of the system within 3-6 hours. Age, type of diabetes, pregnancy can all effect the active insulin time. You will want to know how customizable is the active insulin time(minutes or hours). Pros of Pumps with Tubing:You don’t forget your pump because it’s attached if you forget the Personal Diabetes Manager (PDM or remote) you can’t bolus. If you have to do some trouble shooting, less likely you will lose all of your insulin and have to change out the entire pump(pod) – wasteful. Lower profile infusion site can be more discreet. You can disconnect easily for hot tubs or intimate moments. Pros of Pumps with no tubing (Patch Pumps):Tubing can get caught on things. Easy to fill pod and insert cannula, all you have to do is tape it on and follow the instructions for automatic insertion. Can wear anywhere, if it falls off or is lost, can also replace the pod quickly and easily. Waterproof: All of the newest pumps from the majority of companies are all at least watertight if not waterproof. Watertight is good for up to 3 feet for 30 minutes, waterproof is usually up to 12 feet for at least 60 minutes. So, with most you can do a little swimming, but not ideal for scuba diving. What you really need to think about here is do you really want to test the pumps capability in the water and do you need to? If you are just getting in the water to “cool off” and not spending a lot of time you could easily take it off. If you are swimming for exercise, do you really want it on? Maybe you would you benefit from having it off rather than risking low BG? Are you a lifeguard or a competitive athlete that deals with stress or pre race hormones that require insulin, then maybe you want to wear it in the water? There is no right or wrong here, it’s really your personal preference and comfort level. Does your pump have a continuous glucose monitor built in? Or, if you want one, will you need to order it separately? Accuracy of CGM range from 9%-14% in regards to margin of error from actual blood glucose. A CGM can improve and optimize your glucose control by alerting you of highs and lows. You need to ask, is the CGM built it or is there a separate receiver? 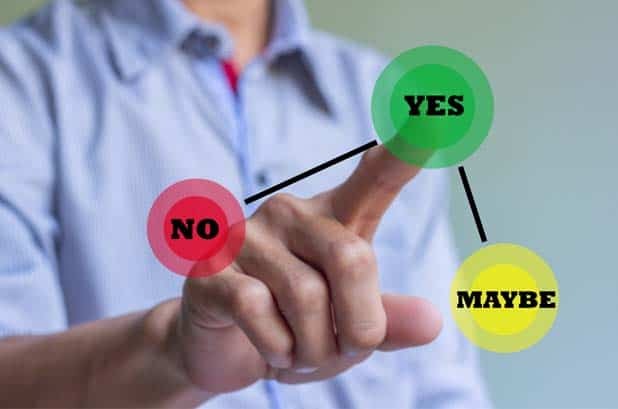 Dexterity and Vision: Is it touch screen or does it require button pushing? Do you have arthritis or any other dexterity or limited mobility in your fingers that may make button pushing a challenge? The majority of pumps now have a color screen or a backlight, but you should make sure you can read the screen and see everything easily. Support: What kind of customer support and service do they provide. What if your pump breaks, how soon can you expect it to be replaced? Can you call them 24/7 if you have a question? Do they have representatives in your area to meet with you, let you actually hold a pump and check it out? Do they have educational opportunities to help you learn your pump? Do they have a relationship with your provider to provide support and education so that you doctor is knowledgeable about your pump? Meter Connectivity: Does the blood sugar meter “talk” to the pump or is it part of the pump in some way? Are you able to give a bolus with the meter? Does your insurance cover those particular test strips or would they with a prior authorization? This is a convenience, not necessarily a necessity. It really is nice though to be able to check your blood sugar, then have the reading show up in your bolus wizard ready to go! According to Sufiyan Hussain and Nick Oliver author of Insulin pumps and continuous glucose monitoring made easy, 1st Edition, Insulin pumps vary in their size, interface, color, complexity, simplicity and features. However, their unifying feature is the ability to program and deliver small doses of insulin over a planned time. Early October 2016 FDA approved Medtronic Diabetes, first pump of it’s kind, a hybrid closed loop pump. It is an insulin pump with an integrated continuous glucose monitor that can increase and decrease the basal rate on it’s own depending on what your continuous glucose monitor reads, within a range. It’s referred to as a hybrid because it cannot yet give a bolus for food. At this time, the user will need to enter carbs in order to bolus. Checking Blood Sugar is Still Really Important: The pump needs that information to give the right amounts of insulin for correction. You need that information as a way of knowing if your pump is working properly. Your provider needs that information to know if the settings are on target. Think of it this way, when you take injections, 1-2 of those shots cover your basal, or background needs, so you have about 40-60% or so of the insulin necessary to get you through the next 24 hours. The pump gives you your basal every hour throughout the hour. If you are not checking your blood sugar regularly, and there is an issue, you could actually go into diabetic ketoacidosis (DKA) more quickly because you have no insulin at all for an extended period of time. Having a Pump Means No More Shots: Which is great, but you have to change the site every 2-3 days, if not, there is a higher risk of infection and/or pump malfunction. It’s important to always carry extra supplies, such as infusion set/serter, reservior, and insulin/syringes, in case your site comes out accidentally. This may take extra planning on your part. Also, you still have to keep syringes on hand for a back up plan in case the pump were to malfunction and you had to go back to injections temporarily. More Communication or Contact With Your Provider and Educator: You should expect to be good buddies with your healthcare team. There is a lot of contact in your first few weeks and months on a pump. There is a lot of work that goes into tweaking the settings and there is a lot to learn about your pump. When you first start a pump you should expect some training via home self study, in person, and maybe even online training prior to receiving your pump. You will become an expert on the basics of pump therapy and know how to prepare for your pump start. The actual pump start may take 1.5-2 hours, depending on you and your educator. Then there will likely be several 30-60 minute follow up visits to learn the advanced features of the pump. Bottomline, you should expect that the pump can provide you optimal control, especially if it has a continuous glucose monitor, but there are many factors that go into it. The biggest one is your desire and commitment to be on pump therapy. You are the main person managing and living with your diabetes, you are the expert on you. Reminding you of this is important because as incredible as insulin pumps can be, if you have any hesitations, you should express these concerns to your educator. You know yourself best. It’s nice to talk to someone first before taking this big step. How Much Does a Pump Cost? The answer to this is different for every one. A pump may cost you anywhere from $0-$7000 depending on your insurance coverage. Don’t let that stop you! The first step after deciding that you want a pump and which one, is letting the pump company help you figure out your out of pocket cost (co-pays and deductibles). You will give the pump company your insurance information and they will contact them to check your coverage. They may cover the full amount or maybe only 80%, but the company should be able to give you a good idea of what it will cost you. Also, know that some companies won’t cover certain pumps. 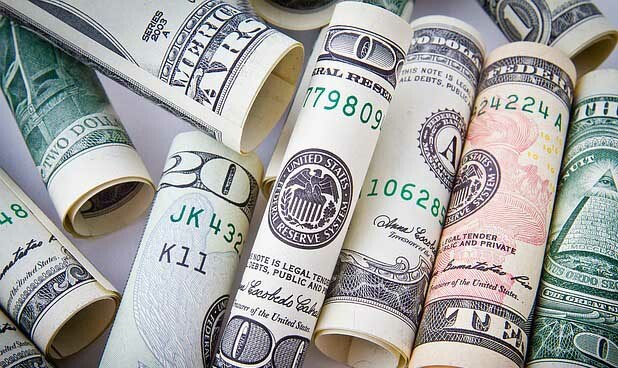 Most pump companies have payment plans to help make having a pump more affordable. If you prefer to call your insurance company on your own, remember that a pump is considered durable medical equipment (DME). It’s not like a normal prescription drug that you just pick up at the pharmacy. You will also need to ask about the ongoing cost for supplies. Supplies will be shipped to you typically, every month or 3 months. Many of the insulin pumps have an integrated continuous glucose monitor (CGM) and checking coverage for CGM is important as well. To get the best “quote” and save you the most time, you are better off letting the pump company check your benefits for you, they know the “lingo” and will be able to get you accurate information. Once you have a pump, this pump will have a 4 year warranty on it. During that time if anything happens to your pump, you can contact the company and they will replace or repair it for your with another pump at no cost to you. After 4 years, you are typically eligible through your insurance to get a new pump. Technology often changes a lot in 4 years, so some companies actually offer programs for you to get a pump with updated technology at a small cost or just let you “download” the new technology. Now, I know what your thinking, “Up to $7000!!! What about eBay or craigslist?” Yes, there are pumps and supplies for sale on the internet, so let’s take a moment to discuss this. First, this is your medical device that you life will depend on, do you really want to buy it from a random person on the internet? Second, this medical device requires a prescription, so it’s important to have your providers approval on this. Your provider may or may not be on board with a used pump. Maybe you have decided the internet is too risky, but your neighbor, Bob, that you know well, is getting a new pump and you want his old one. Pump companies will typically buy an old pump as you transition to a new pump, in the form of a several hundred dollar credit. So, your neighbor may or may not want to just “give” it to you or he would be missing out on some serious cash. Let’s say you and Bob worked out a deal and you bought it from him. Next you are going to have to pay the pump company a recertification fee, usually around $500 to make sure that is it safe to wear. That is, if you want to get supplies from them or call them when you have question about your pump. So, while it may seem less expensive to take a hand me down pump, it may only be slightly less expensive, and the other disadvantages are you have no support or warranty if it breaks, you may have the stress of wondering where you are going to gets supplies. This could be a major road bump, if the provider is not on board, you will have trouble getting supplies because you will need a signed prescription regardless of whether you are paying out of pocket or if insurance is paying. So, while I don’t recommend getting a used pump, you will not find any judgements here. Sometimes you do what you got to do. Consider including your provider and educator in your decision making to be sure everyone is on the same page and you don’t end up wasting money. How Do I Qualify for a Pump? Insurance companies have specific requirements for qualifies for a pump. 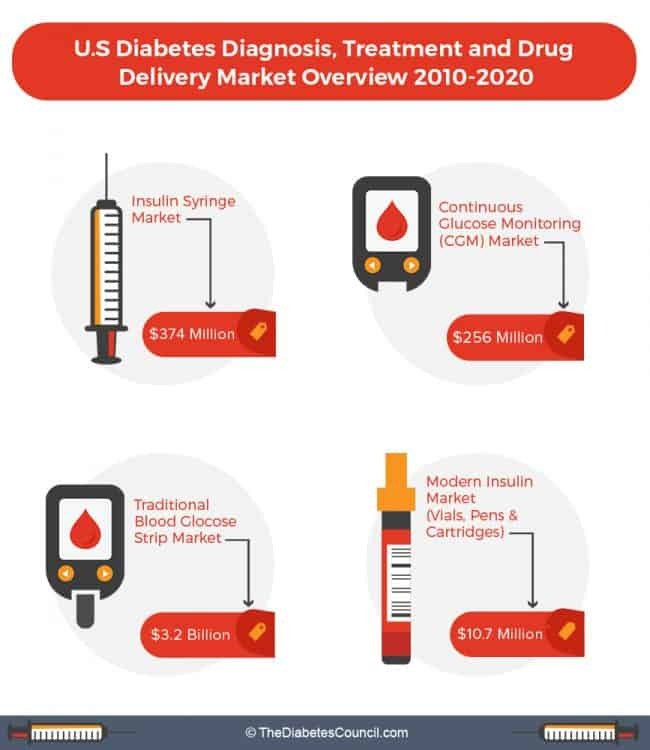 The majority of companies cover a pump for people with Type 1 diabetes, some cover pumps for people with Type 2 diabetes on multiple daily injections. To learn more check our in-depth guide on diabetes health insurance coverage. Medicare and some insurance companies may require a c-peptide lab test with a fasting glucose done at the same time (and that fasting glucose result has to be <225mg/dl). All of that information above helps create a document called a certificate of medical necessity (CMN) that your provider signs. This gets sent to the insurance company as a prescription, and to support your need for an insulin pump. You should not be nervous about answering these questions, there are no right or wrong answers for the most part. A red flag would be, if you were not checking your blood sugar at all, or only 1-2 times per day. As you are preparing for a pump, more frequent blood sugar checks will help. Practice with the pump before actually putting it on. You can carry your pump around with you for a day or so and practice giving boluses without being connected. Your educator will walk you through the process of setting up your pump and putting it on, so make sure you reach out to them with questions or concerns. There are online forums and social media groups that can provide support. Reaching out to people who are already on the pump can be helpful. If you don’t know anyone personally, ask your diabetes educator to connect you with someone or attend a local support group meeting. First, the actual act of disconnecting can sometimes be challenging. A light touch is the best advice. If you are struggling to disconnect stop, take a breath, relax, and try again. After the first few times, you will have the hang of it and it will be no problem. Once you are disconnected, ideally you are not staying off the pump for more than an hour or so, and if you are, you should check your blood sugar after an hour and reconnect and give a bolus if needed, then disconnect and go back to what you were doing. Showers: There really isn’t a good place to keep the pump while you are in the shower so disconnecting is probably best in this situation. I would also not recommend putting the pump/insulin in a hot bath or hot tub for an extended period of time. Hot tubs can often get to temps greater than 100 degrees and then you would need to start worrying about the insulin degrading. Sports: If you or a loved one play sports, the pump can be removed for the duration of the event. It’s important to check blood sugar a couple times during the event. Stress or excitement from the game/event can actually cause blood sugars to go high and physical activity can cause blood sugar to go low. Swimming: It’s up to you and how waterproof your pump is in regards to disconnecting while swimming. If you are just sitting or laying in the pool relaxing, you may want to leave it on, if you are very active you can take it off up to an hour with no issues. Intimate Moments: It’s probably best to take it off so it’s not in the way and it’s more comfortable. Just make sure to put it in a place that you will remember to reconnect it. 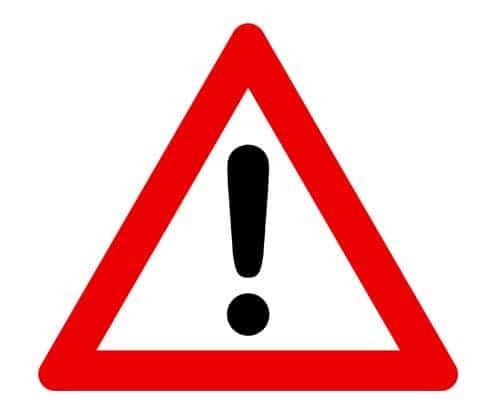 Medical Tests: You cannot wear your pump during an X-ray, MRI or CT scan, so you will need to disconnect. If you have a medical procedure, check with your provider to get instructions on what to do with your pump. Do I Need to Consider My Diet While Using the Pump? Absolutely! You should be considering your diet whether you have diabetes or not. Benefits of healthy eating are not limited to good blood sugar control and weight management. Eating a variety of foods found close to nature can give you more energy, clearer thinking and help you fight off viruses and other bugs. It’s important to choose foods high in fiber, low in saturated fat, and eat fruits and vegetables daily. People with diabetes are typically quite focused on their carbohydrate intake. But data suggests that paying attention to fat content can also help blood sugar control. High fat foods can slow the absorption of carbohydrates into your blood stream. High (saturated) fat foods can also cause insulin resistance. How does an insulin pump helps with this? Well, the insulin pump give you the ability to deliver insulin to meet the needs of a high fat, high carb meal. It’s referred to as a dual wave bolus. It will give you part of the insulin up front, and then you can set the duration in which the rest of the insulin is delivered. For example, if you eat pizza and your calculation shows you need 10u of insulin, you may choose to give a dual wave. You might give 30% or 3 units up front and 70% or 7 units over the next 2-3 hours. How you should split your dose and how long you should extend it is very individualized and you should work with your provider and educator to help you figure this out. 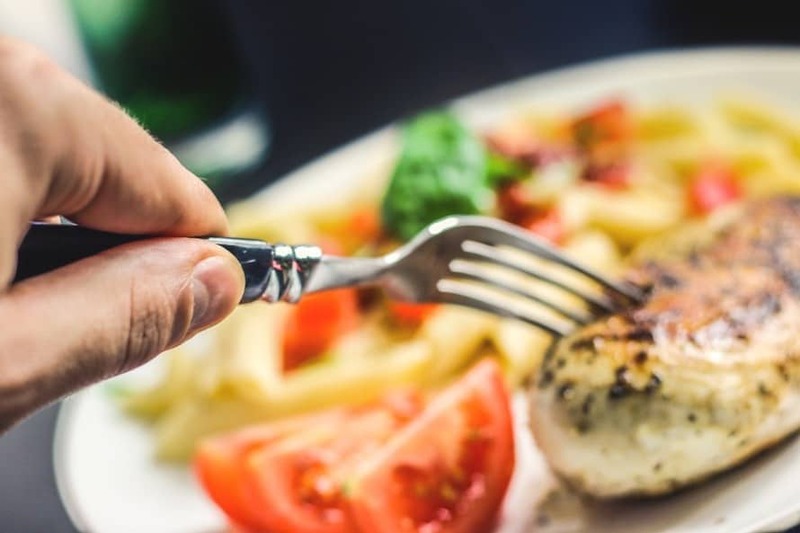 A CGM with your pump can also give you feedback on how much a high fat content meal effects you and help you to adjust your bolus accordingly. What to do in the event it stops functioning? If the pump stops functioning, you should immediately check your blood sugar and start your back up plan. Usually a back up plan consists of giving an injection of rapid acting insulin every few hours to cover your basal and then more injections for food/correction. Some people may also have a prescription for long acting insulin on file at the pharmacy or some that is kept in the refrigerator, so you could give a shot of that and revert to multiple daily injections until your pump is replace. Always check first to make sure your insulin is not expired. 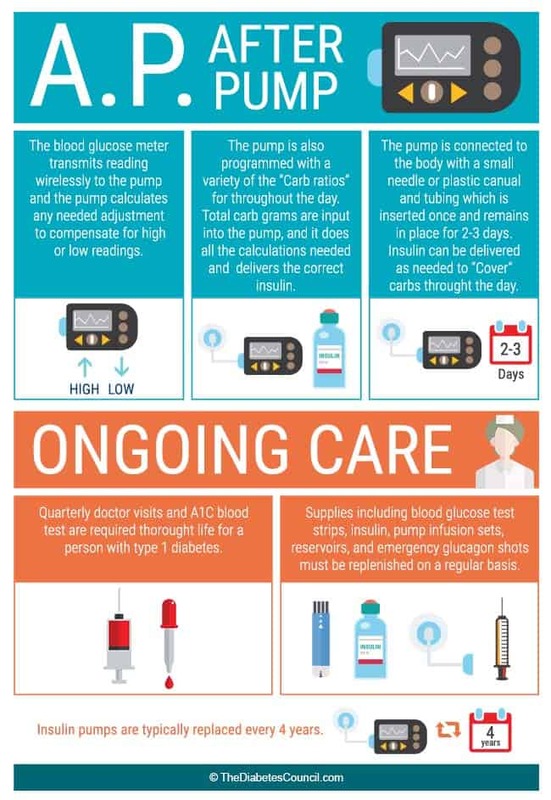 Once you know your blood sugar is fine, then contact your pump company and let them know the situation, they should overnight another pump to you. 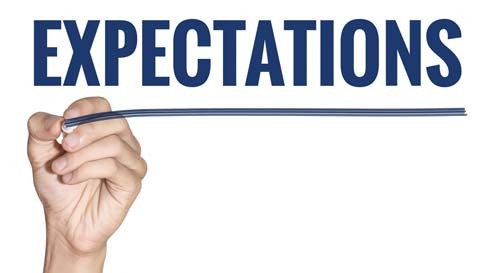 If your pump is out of warranty (meaning past the 4 year mark), then be prepared to possibly be on injections for a few days or even up to a few weeks until the certificate of medical necessity and paperwork has been gathered and submitted to the insurance company for a new pump. When traveling (make sure to read our comprehensive guide traveling with diabetes), you should always carry several days of extra supplies and all supplies and medications should be kept in your carry on. Make sure all medications, including insulin are in their original container with the prescription label on it. It doesn’t hurt to have a letter from your provider stating you are wearing a medical device. 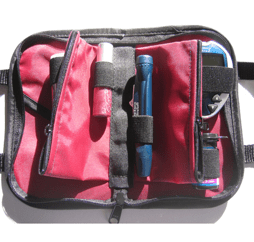 Carry syringes and back up long-acting insulin with you when you travel, just in case. Don’t forget extra batteries or your charger cable for you pump or CGM. Your pump is OK to go through screening, but not through the Xray machine. You can also request a pat down rather than having to remove your pump. If you are going out of the country, many pump companies will offer you a loaner pump to take with you just in case of a malfunction. It’s also helpful to change the time on your insulin pump once you arrive at your destination, otherwise you basal rates will not be programmed correctly. If you are going through a very large time change, talk to your educator about how and when to change the time for your basal. Also, if you are going to be more active on your vacation, you may just plan to set a complete separate basal pattern for while you are away. Just make sure to set an alarm in your phone or leave yourself a note at home to change your time or basal pattern back when you return. It is possible to have a healthy pregnancy with diabetes, while on injections. An insulin pump is typically the preferred method of insulin delivery during pregnancy, mainly because insulin needs vary so much throughout the pregnancy, tight control is ideal and the risk of hypoglycemia on a pump is lower than on injections. Not to mention, several pumps have integrated CGM’s which are extremely helpful to a pregnant woman aiming for tight control. Less insulin is needed during the first trimester and 2-3 times the amount of insulin may be necessary by the third trimester. Good blood glucose control before and during pregnancy lead to better outcomes regarding the baby. Starting a pump prior to pregnancy is ideal, but not always the case. A pregnant woman is a great candidate for an insulin pump if she is agreeable to the therapy. Private insurance and government insurance tend to provide good coverage. For more information read our article on Pre-existing Diabetes & Pregnancy. It’s important to think about your daily insulin use and how much that may change toward the end of your pregnancy. If your current pump only holds 200 units, that may be a big issue toward the end of the pregnancy as your insulin needs increase. If you are planning pregnancy or are a woman of child bearing age and not on birth control, consider a pump with a higher insulin volume. As the skin in the abdomen tightens while the baby grows, you may have to place the infusion site in other areas. The “love handle” area or on other sites where the skin is less “tight” such as upper arms or legs. Kids do very well on insulin pumps. Parents are the ones managing the pump until the child is old enough and even then, adult oversight is still necessary. Some pumps are approved for kids as young as two years old. When a child on a pump goes to school it’s important that the teacher and school nurse are aware. Special training should be provided to the school nurse if he/she is not aware of how a pump works. May of the pump companies, the American Diabetes Association(ADA) and Juvenile Diabetes Research Foundation (JDRF) have great educational materials. There are even special summer camps hosted by the ADA for kids with Type 1 diabetes who are on injections or pumps. It’s a great way for kids to learn about pumps from other kids if they are hesitant. There are also local support groups and the insulin pump representative often will meet with you individually to show you their pump. Talk to your provider and educator about helping you to get connected with the resources you need. Check out pumpwearinc.com for fun accessories for people who wear pumps, kids and adults! Where can I put my pump site and what do I do with my pump? Your pump site can go any place that you give injections, abdomen, upper arms, and upper thighs. If you wear your pump on your arms/legs make sure you order tubing that is long enough to accommodate, 32″ plus would be ideal. You can put your pump anywhere on your body that you can clip it (waistband, pocket, bra, leg band, or arm band). For little kids that may play with it, I have seen it strapped to their back (think mini backpack). Out of site, out of mind. Where do I put the pump while I sleep? The pump can lay in the bed next to you, you can clip it to anything you are wearing, or you could slide it under your pillow. You likely won’t even know it’s there. If you toss and turn a lot, you may do better with it clipped on your pajamas to keep from getting tangled in the tubing. How often should I change my infusion set? Site should be changed every 2 to 3 days as advised by CDC to prevent infection. The other concern is the possibility of poor absorption or obstruction at the site the longer it is in. 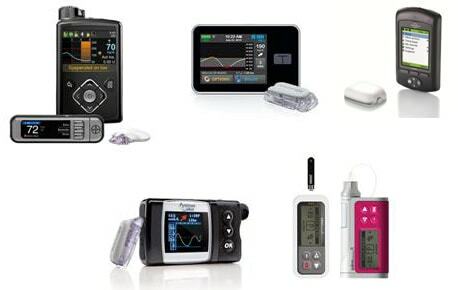 What is the best insulin pump out there? The majority of pumps on the market work in very similar ways. It really depends on what is important to you. I would recommend starting with looking at how long a company has been around and who has the best technology to make your life better. What insulins do you use in the pump? Rapid acting insulin or regular, but we don’t see that used as much since rapid acting insulin is available. How do you wear an insulin pump under clothes? Skirts/Dresses: You can use an elastic band around your leg and clip your pump to it. You can also clip it onto the middle of your bra or on a bra strap (depending on what you are wearing). There are many online companies who make pumpwear! Pants: Some people will cut a small hole in their pocket to run tubing through if they want it to be discreet. Just be careful if you are changing your clothes or going to the bathroom that you don’t get caught up in the tubing. Can you exercise with an insulin pump? Yes, you can exercise with an insulin pump. There is a feature called a temp basal to help you adjust your insulin while you exercise. You can also take your pump off while you exercise if you find that more comfortable. It’s important to check your blood sugar before and after exercise. Can I shower with my insulin pump? You can if its waterproof, but then you have to wonder where you might clip it? Best bet is to disconnect for showers. How do I disconnect and remove the site? Each infusion set is slightly different, but basically, at the site you can either twist or pull an attachment to remove the tubing. The actual infusion site stays in when you disconnect. When it’s time to do a site change, you just peel off the infusion set like a band aid. What about intimate moments? There are times when you don’t want to be connected to the pump. It is OK to take the insulin pump off during intimate moments. Just remember to put it back on. How does an insulin pump decrease the chance of hypoglycemia? An insulin pump can give targeted amounts of basal insulin to decrease the risk of low blood sugar reactions.You can also adjust your basal insulin based on your activity. You cannot do this with shots. Many insulin pumps also have integrated CGM and will alert you if your blood sugar is going too low. You can see first hand what it looks like to use a pump and do a site change and learn more about topics that your important to you. http://www.medtronicdiabetes.com/community-resources/video-library – How to fill the reservoir, insert the infusion set and sensor. First, scroll down and watch the video called “MiniMed 530G with Enlite: How To Fill the Reservoir, Insert a Quick-set and Insert the CGM Sensor”. Then you can pick any video topic you are interested in, there is a great one on kids and pumps and pregnancy and pumps. Using the bolus wizard in a pump. Let me know if you have any questions that I have not covered. What accessories might be covered by my insurance if they break, such as clips? The majority of insurance companies do not cover accessories for the pump. Clips are the most common accessory that need to be replaced, and they typically come with the pump when they are shipped. Some companies will replace the clip if it breaks. Any other accessories such as skins, cases, or extra clips, etc. would have to be purchased out of pocket. Do pump start kits usually come with cartridge caps and battery caps, or do they have to be ordered separately like infusion sets and cartridges? Everything that you need to get the pump operational comes in the pump kit, such as batteries or cables to charge, clips and a battery cap if necessary. Nothing additional needs to be ordered outside of the reservoirs and infusion sets, and possibly sensors if you got an integrated pump. If you are expecting a continuous glucose monitor with your pump, it comes in a separate box. I have had my insurance get me four pumps. But I also just got three free ones from people on Facebook groups. They are all good. You can easily get a free one, and a second as a backup. Medtronic pumps have stayed almost the same for over 15 years. What is required to go to the bathroom, i.e. pull down slacks and pants? Where do people put the pump? What happens to the tubing, i.e. does it stay attached at both ends or does a person do something with it? I can’t get anyone to answer this question. That’s why I don’t use a pump. The tubing is long enough so you can pull your pants down to use the toilet. The tubing stays attached and the pump is attached by a clip to your pants, or you can put it in a pocket. You’ll figure out what works for you. Insulin pumps are garbage. 1) These pumps supply only a fixed amount of insulin without intervention You must count carbs and program this information into the pump. So why waste money on a device that practically does nothing without intervention. If someone tells you that an insulin pump can regulate glucose, you are either talking to a quack or a salesman. A manual glucose monitor and insulin will work just as well or better. Don’t let a thief have your money. Remember – There is no reliable treatment or cure for Diabetes – anyone who says that there is is a liar. This is a sad commentary Verlie. Pumps can be great! There are many ways to manage diabetes that are much better than in years past. Insulin pumps deliver insulin two ways. 1. via bolus – this is where you test your glucose and/or enter the carbs you plan to eat. The pump will calculate the dose down to the 1/10 or even 1/100 of a unit- something you cannot do with a syringe or pen. You can also ‘extend’ your bolus, like when you eat fatty food with carbs (think pizza), and you need extra insulin for several hours. 2. the pump delivers basal (background) insulin- meaning there is usually no reason to take Lantus/Levemir/NPH. Additionally the doses are very specific and can be adjusted for your needs throughout the day. Many people need more basal insulin overnight, and less especially in the afternoon. Once your personal pattern is determined it is automatically delivered by the pump. If your needs change it can be adjusted. Many people adjust their basal rates down when they want to exercise, and up in times of stress. When you in inject you are basically stuck with the same amount of basal insulin all day until it wears off. My 29 Y/O son was dz with type 1 about 2 years ago, he has no health insurance. He has been hospitalized several times and been found several times passed out with a BS of 18. His life depends on something that can notify him when his sugar drops he body is now use to it so he has signs it is going to happen. No shakes or anything. Any Advice would be appreciated on obtaining a pump for him at low cost. He needs health insurance. He may qualify for Medicaid. He needs to explore this option. And if he ends up in the hospital again, insist on a Social Worker intervening to make sure he has Medicaid coverage before he is discharged. I believe he can go to the social security office and see if he qualifies for Medicaid. Is there any way to retrieve readings from a pump if battery died, & seemed to “reset” when new battery put in? Is there a risk in using an old pump, perhaps 5 years or older? Do they become unreliable or inaccurate?